I started the residency at August Art, Shoreditch High Street, last week and have been slowly making progress with the map of routes, based on the Brixton stories we collected last year. 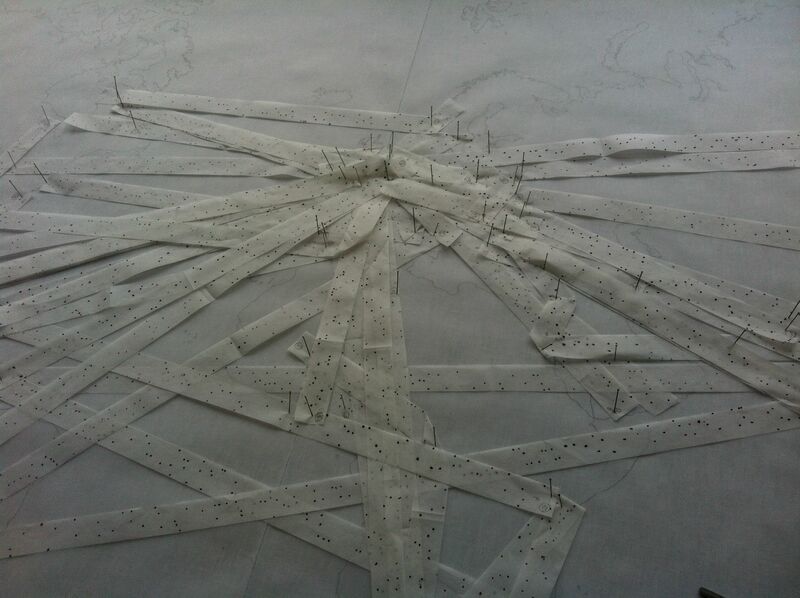 I based the map on lace making patterns, which relate to the history of the area as a centre for the Huguenot silk trade and fabric and lace-making. 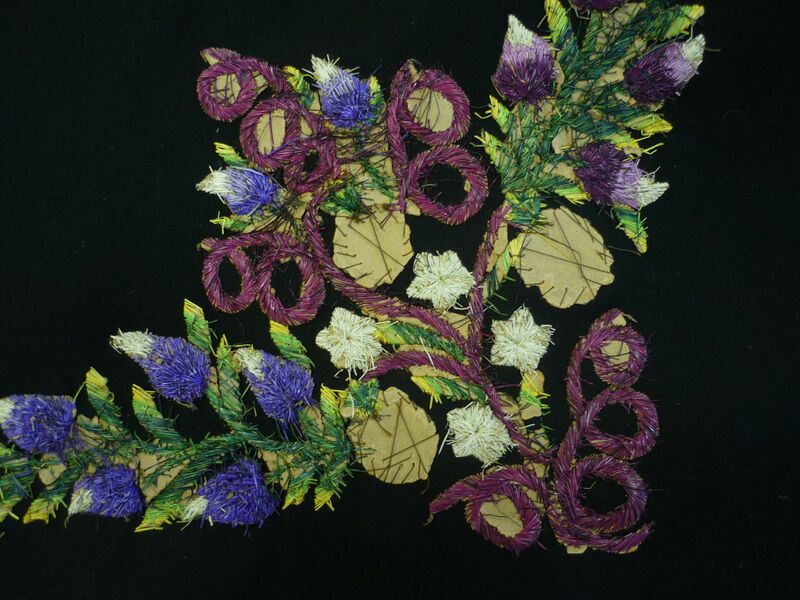 I went to the national archive at Kew where there is a collection of Huguenot silks and laces. The paper patterns are still partly visible on the reverse. I traced the filmstrip narratives of the Brixton stories onto paper, and these became the patterns for the journeys on the map. 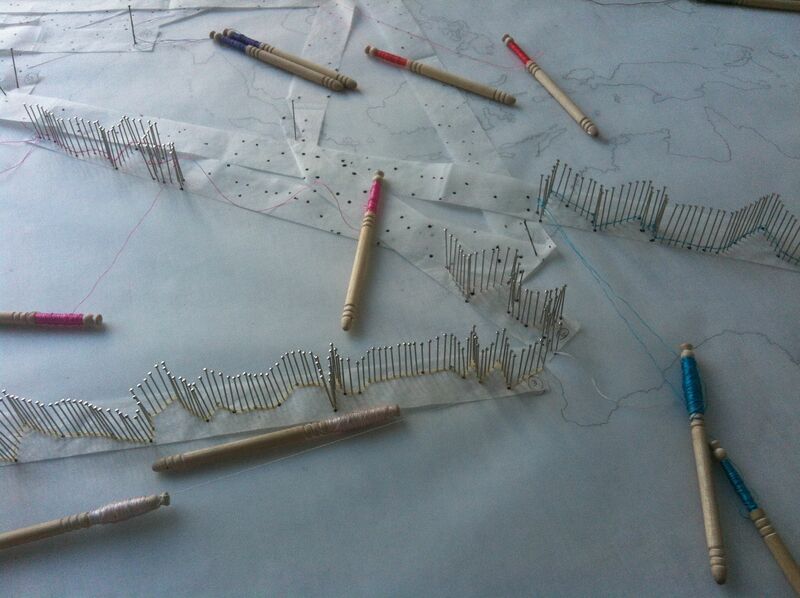 I then began to pin out the routes, using silk thread to knot around the pins. As the journeys converge and cross, a patterning of lacework will emerge. I am calling the work “Pattern Language” which relates to the idea of a design syntax, of a set of variables which can be used as a vocabulary and grammar to describe ‘solutions to problems in a field of interest’. It also relates to my interest in translation and the incoherence of the palimpsest of different histories that make up a place, the tangle of interwoven lives at any given moment. I will continue the residency over the next few weeks and am also interviewing local residents and passers by, which will add to the archive of narratives to draw on in the next stage of work.